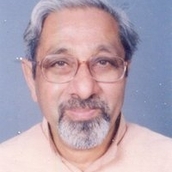 Top Gujarat-based social scientist, Prof Ghanshyam Shah, has accused the Gujarat government of "overtly and covertly undermined the existing labour laws which provide some protection to workers" in order to invite investments in Gujarat. "The state government has amended labour legislations to provide freedom to industry to employ labour on contract basis", he said, adding, the result is, "Ahmedabad has the lowest labour costs among the major cities in India, with labour costs less than 50 per cent of those in Delhi and 40 per cent below those in Pune." Writing in the book "Studies in Indian Politics", published by the Centre for Study of Developing Societies' SAGE Publications, Prof Shah's chapter, "Politics of Gujarat: A Study of Gujarat", underlines, "The wage bill for industry in Gujarat constitutes only 2.42 per cent of the invested capital. The same figure stands at 4.04 for Karnataka, 4.4 for Maharashtra, 4.94 for Andhra Pradesh, 5.42 for Haryana and 5.5 for Tamil Nadu." He adds, "Sizeable labour force is in informal sector without social security and other benefits under the labour laws. Stipulated minimum wages by the Gujarat government are lower in all occupations in Gujarat than Maharashtra and several other states. Not only that but the Labour Commissioner’s office, whose responsibility is to implement labour laws and protect labourers’ interest, has been reduced in its strength-- both in number and power. Its functioning is further weakened." Suggesting that Gujarat's governance is meant basically to appease the corporate sector to the detriment of common people, on one hand, and natural resources, on the other, Prof Shah says, this is one major reason why under the neo-liberal regime, the bureaucrats are favourites of the industrial houses. "Most of them come from upper strata of society; hence they can very easily build rapport with entrepreneurs. Money power and social networks of the entrepreneurs match with bureaucrats’ mindset. Businessmen believe in keeping the bureaucrats in good humour. On the whole the investors, in the past and today, are very happy with Gujarat’s bureaucracy and appreci­ate its efficiency", he adds. Pointing out that in the 1960s, Gujarat was known for production of textiles, Prof Shah points out how today, "chemicals and petrochemicals have become major industries with 62 per cent share in the total industrial production of the state." In fact, "medium and large industries have increased nearly eight-fold between 1980s and 1990s", and in the last dec­ade, "on an average more than six hundred new projects were sanctioned to launch." This brought environmental pollution to the fore. Even here, instead of following the principle of polluter pays, Prof Shah said, "in the 1990s the government initiated and encouraged industries to develop Common Effluent Treatment Plants (CETPs) largely supported by the public funds: 25 per cent of the cost was state subsidy; 25 per cent central government subsidy; 30 per cent loans from the financial institutes; and remaining 20 per cent paid by the industries." Even then, most of the plants do not meet the norms prescribed by the Ministry of Environment and Forest of Government of India. "The Comptroller and Auditor General (CAG) of India report of 2010–2011 noted that ‘treated’ waste water out of CETPs had four to ten times more toxic than Government’s own norms in terms of biological oxygen demand (BOD) value, three times higher in case of chemical oxy­gen demand (COD) values and four times higher in terms of total dissolved salts (TDS)", he notes. The CAG report also noted how this has caused ‘large-scale death of aqua stock in the rivers’ in the recent past. Highlighting that the government was aware of increasing adverse and deadly effects of pollution on the vast population, Prof Shah says, "But it does not have courage to displease industrialists. It has a fear that strictly enforcement of the pollution control norms would go against the interest of the factory owners. And, it is feared that they would go away from Gujarat and may also discourage new investors to come to the state. The government which is obsessed with high economic growth and to become front-runner in the market is caught with contradictions of its own making." Saying that all this is part of the "neo-liberal economic reforms", Prof Shah says, "Inducements have been multiplied in the last two decades. In the institutional structure capital investors are treated as the only stakeholders for industrial growth. They are involved in decision making and monitoring process. Labour has no place therein. Administrative procedures have gradually minimised. Bureaucrats are generally benign towards capitalist class. They are now professionalized and geared to follow the best practices of the corporate world into the government to accelerate economic growth." He adds, "Nevertheless, from the perspective of neo-liberal economy such governance may be qualified as ‘good’. Gujarat however is not the only state with high growth trajec­tory. Maharashtra, Haryana and Andhra Pradesh are at par or even ahead of Gujarat in GDP, investment and per capita income. Tamil Nadu, Karnataka and Punjab are not far behind."